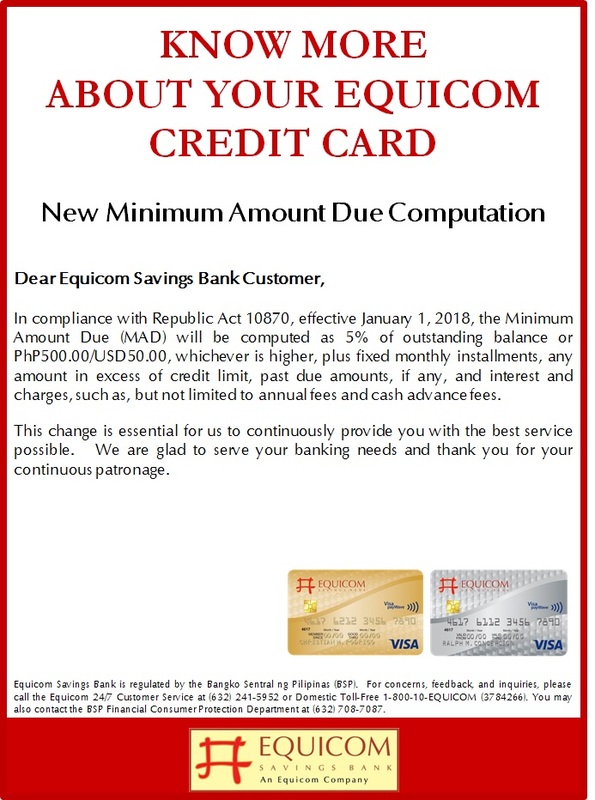 A great shopping experience is in store for many consumers who can avail of tremendous advantages in terms of special discounts and privileges by simply using any of the cards issued by Equicom Savings Bank for their purchases. 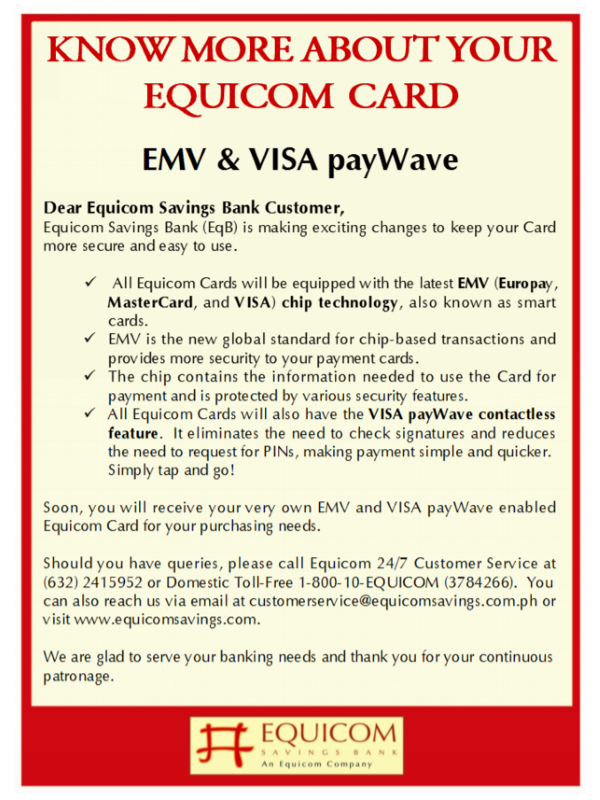 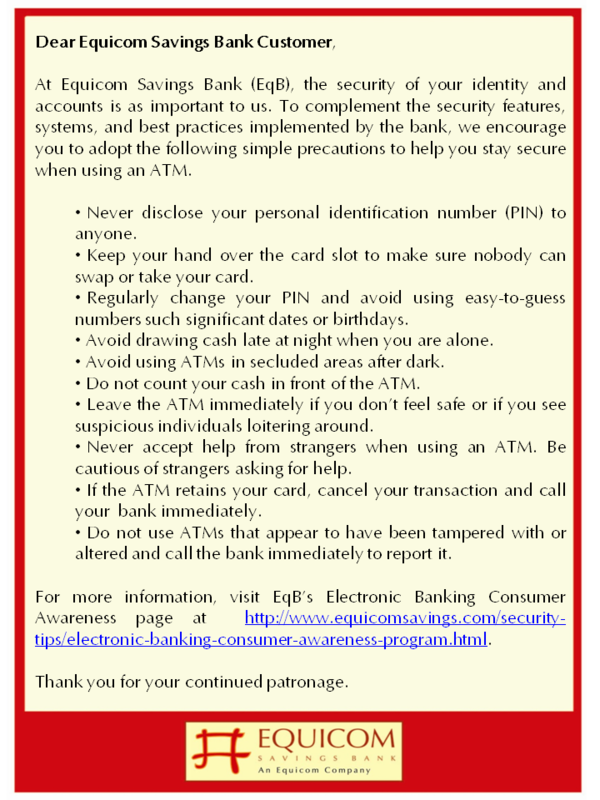 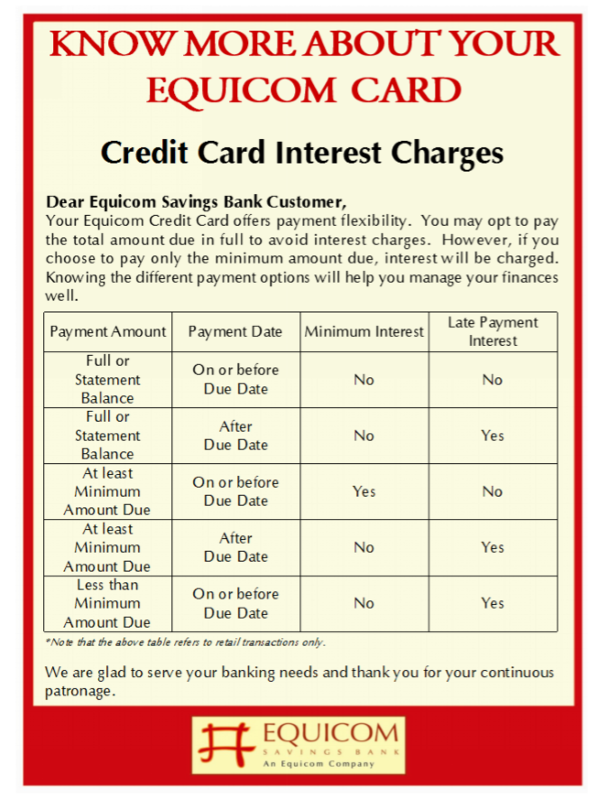 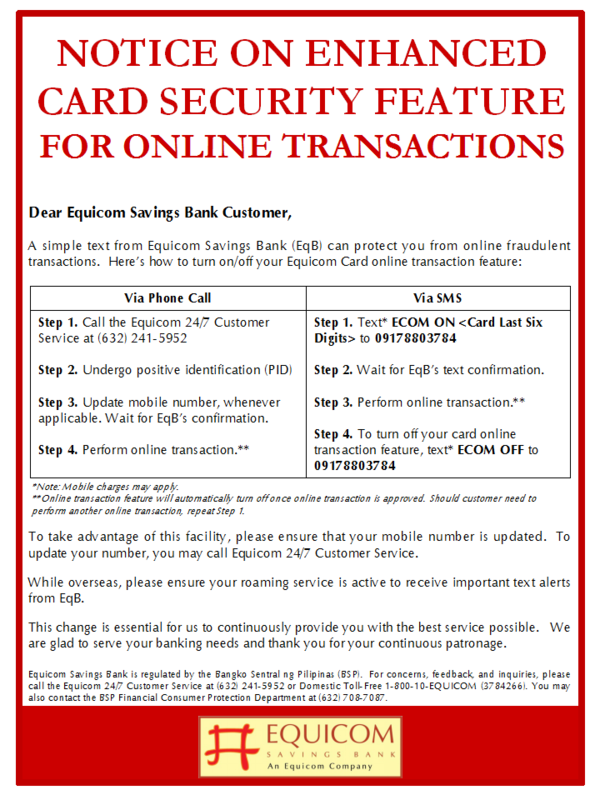 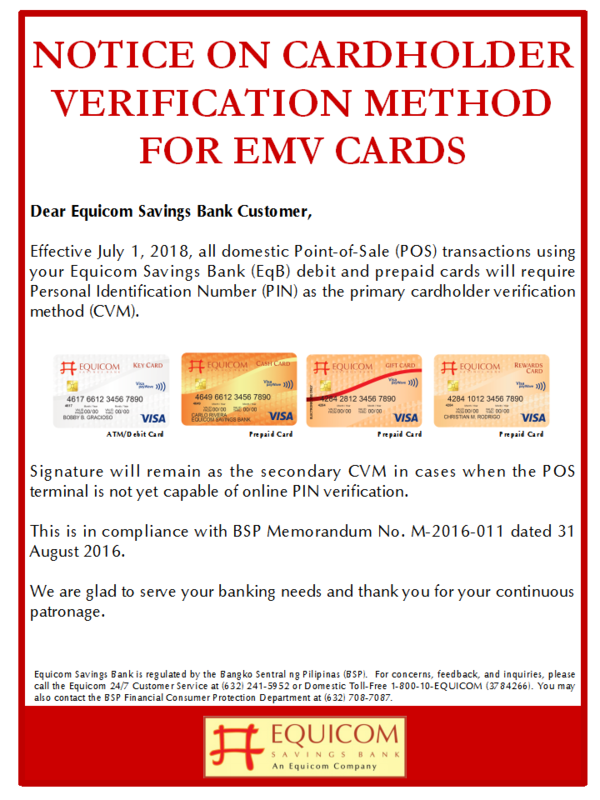 The program, which is open to all active cardholders of the bank- Equicom Credit Card, Equicom Key Card, Equicom Cash Card, Equicom Gift Card and Medilink XP card., provides instant discounts or freebies to an Equicom cardholder who charges the total amount of his transaction to his Equicom card upon purchase at a participating establishment. 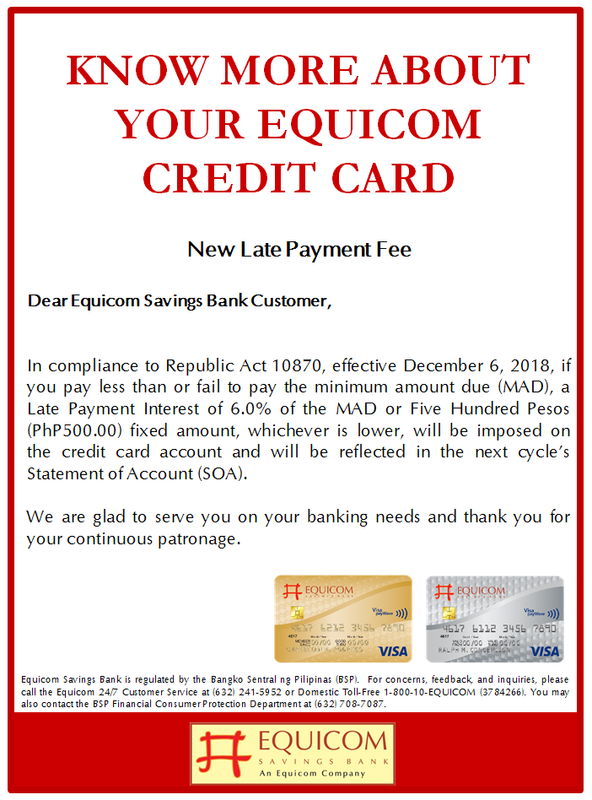 The discounts and freebies under the promo are offered in dining establishments such as Chef Laudico, The Kebab Factory, I-Republik, Blackbeard’s Seafood Island, Bigby’s Café & Restaurant. 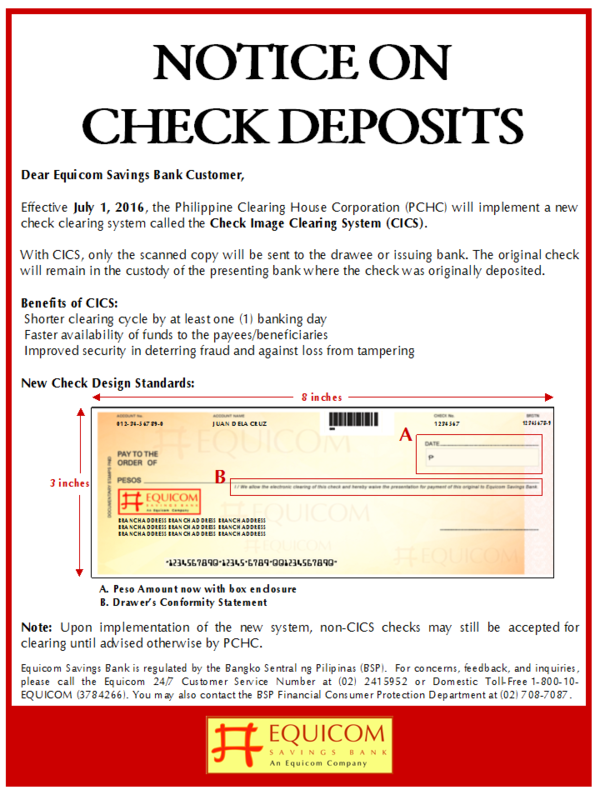 They can also be availed of in wellness shops like Dermclinic, Biocare, Bioessence, Bioessence Gold and FacialPlus. 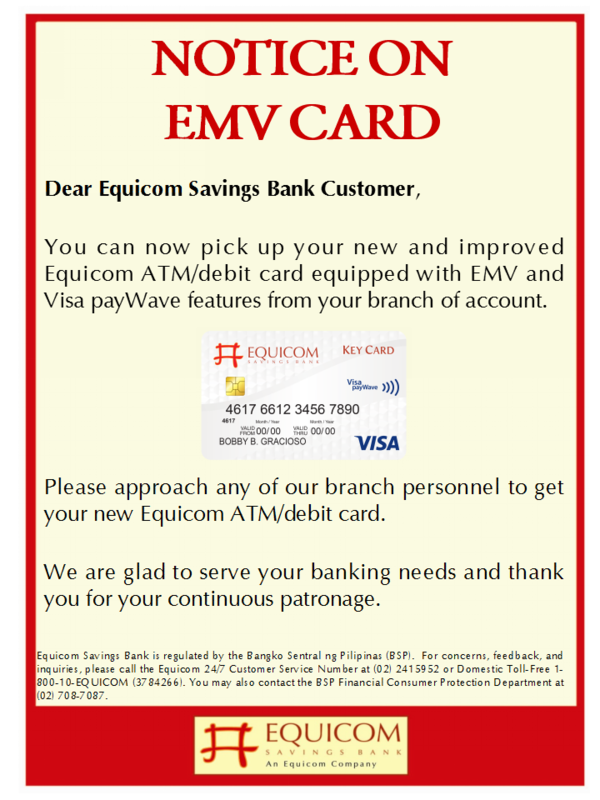 The special discounts and freebies offers cannot be availed of in conjunction with other ongoing promotions, in-store sales or discounts, privileges and VIP cards of participating merchants. 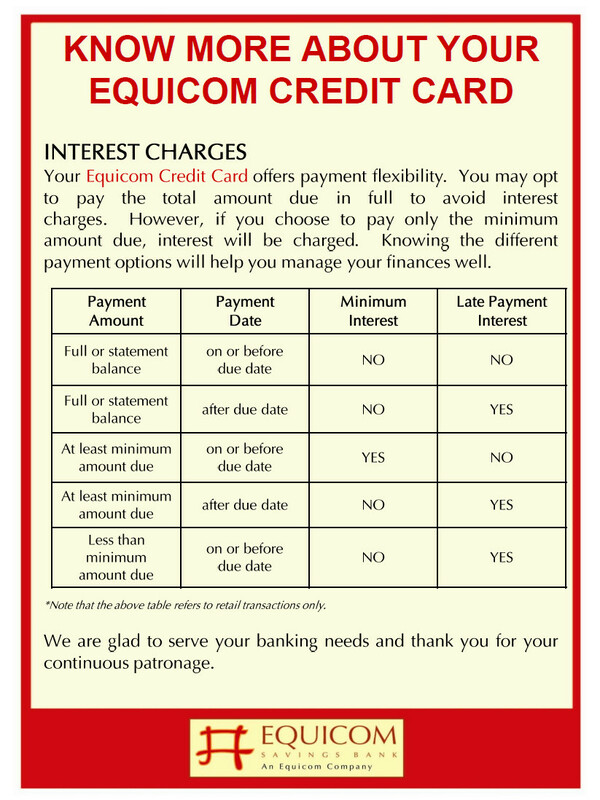 Instant freebies and discounts are not convertible to cash. 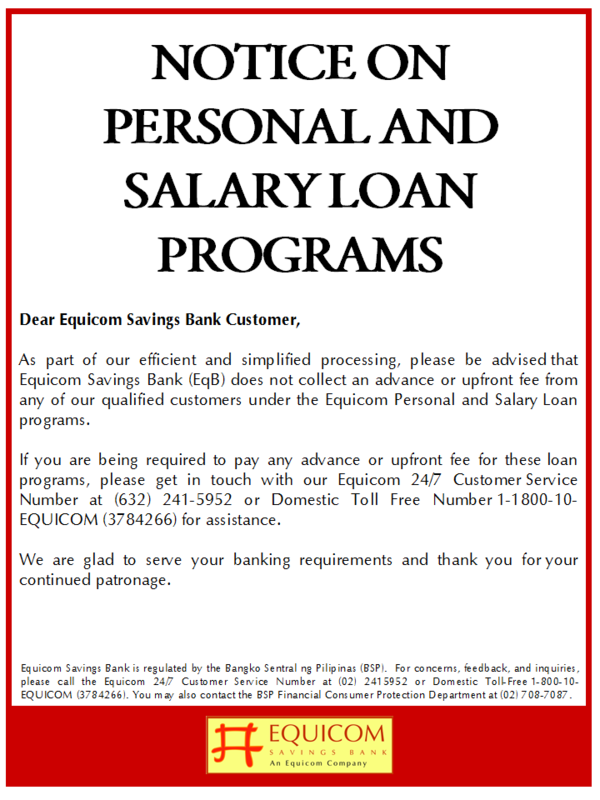 Offers are valid as indicated. 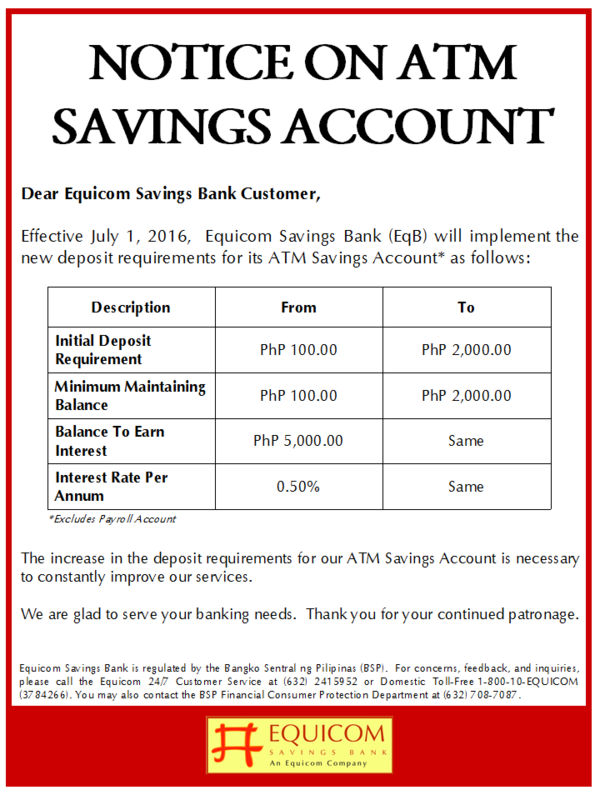 Promo is from May 1 to July 31, 2010. 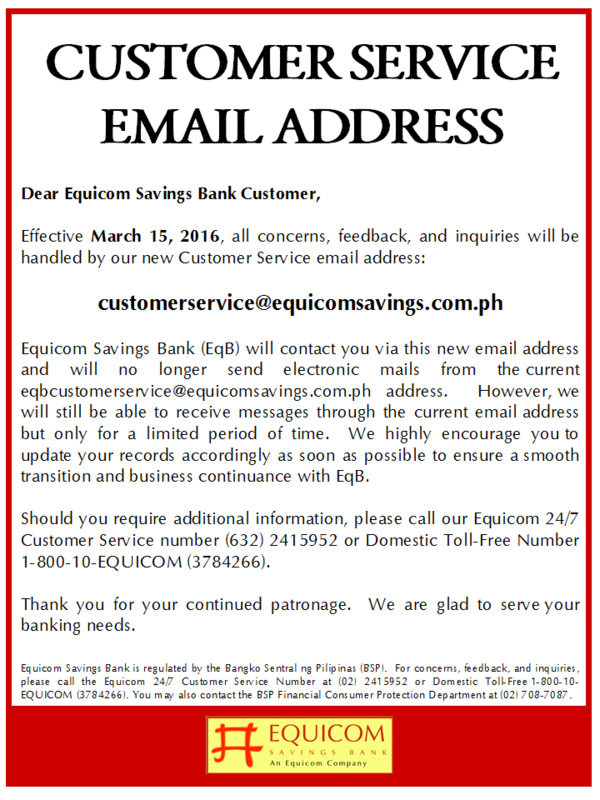 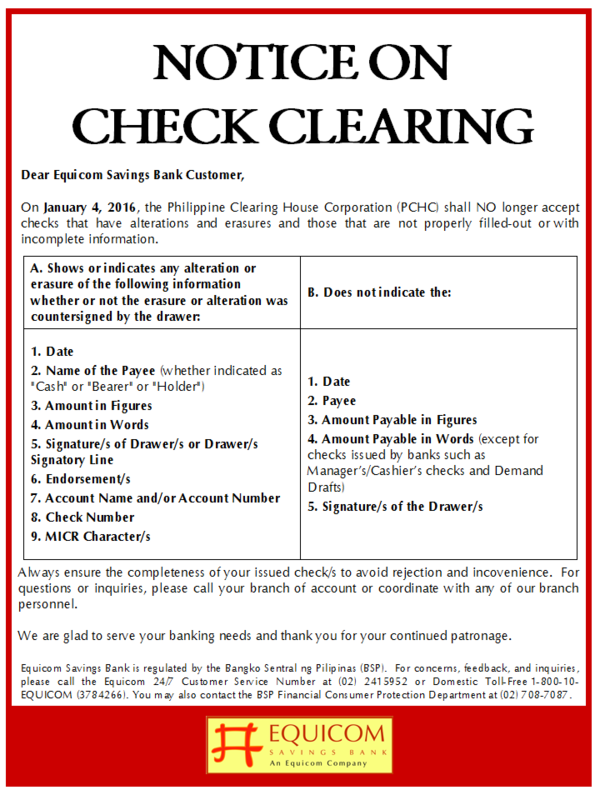 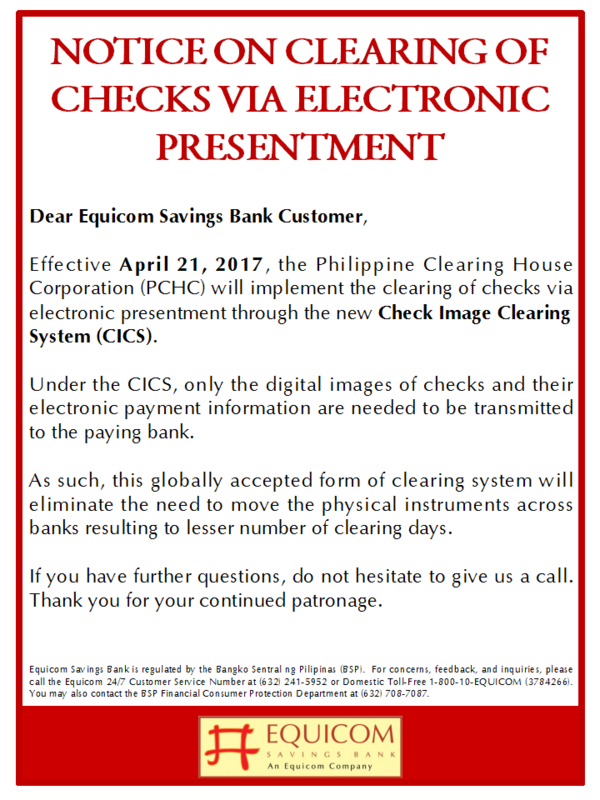 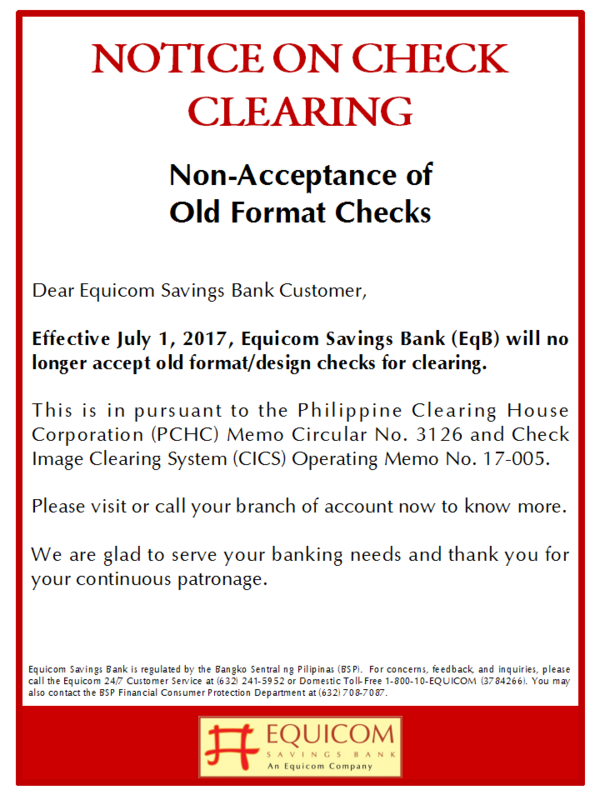 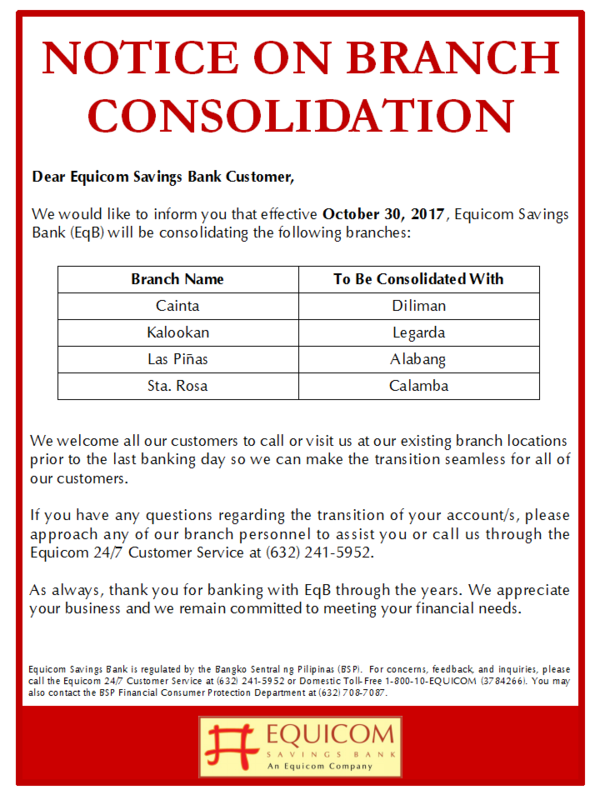 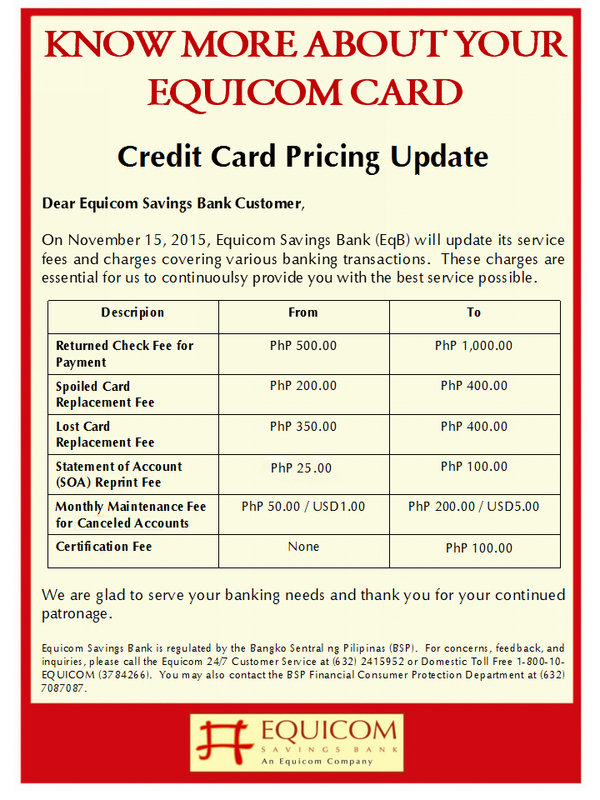 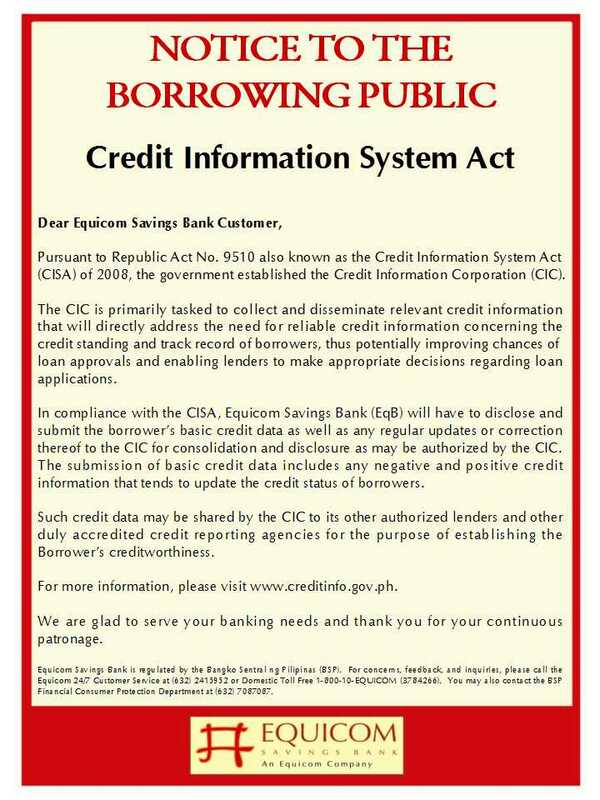 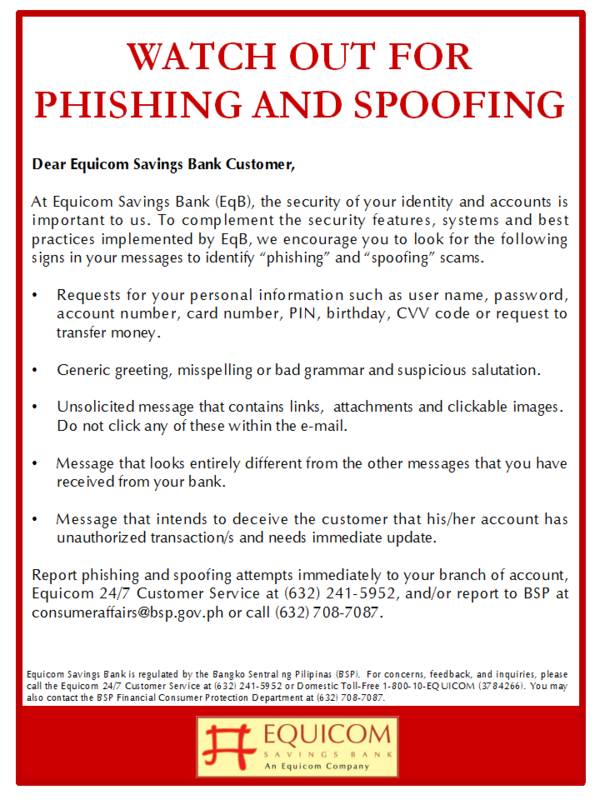 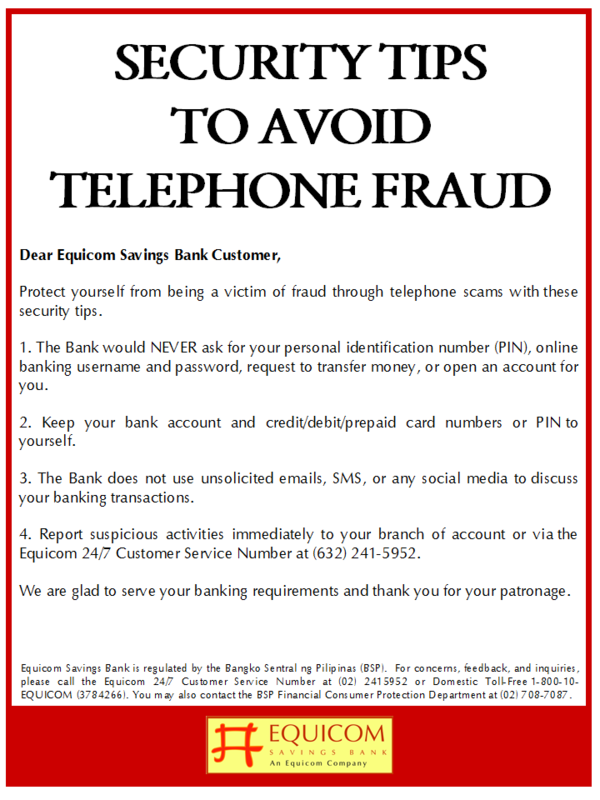 For inquiries, interested participants may call the 24-hour EqB hotline at 2415952 or 1-800-10-EQUICOM (3784266) or visit the website www.equicomsavings.com.